Although it’s labeled “G.E. 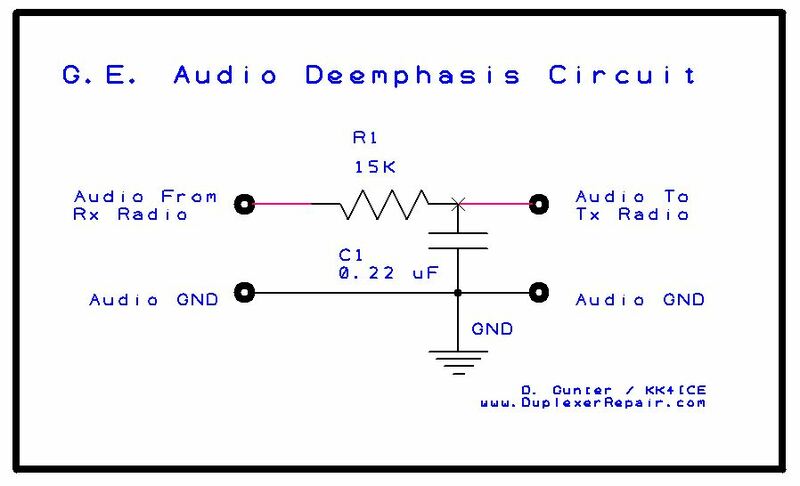 Audio Deemphasis Circuit,” this circuit works with other repeaters and radios as well. It just happens that I created this schematic when I ran into audio preemphasis issues using the audio from a GE Mastr II to feed a GE MLS II radio used for linking to a remote repeater. 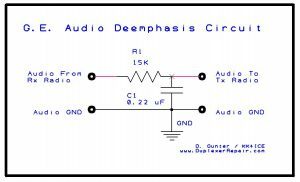 deemphasis filter circuit will flatten the audio, removing the preemphasis curve and yielding audio that is suitable for feeding to the input of another device. Get rid of that “tinny” sound and make your setup sound much, much better. This easy to build circuit will eliminates the double preemphasis which occurs when tapping discriminator audio out of one repeater and feeding it straight into a linking radio or repeater which adds preemphasis again. 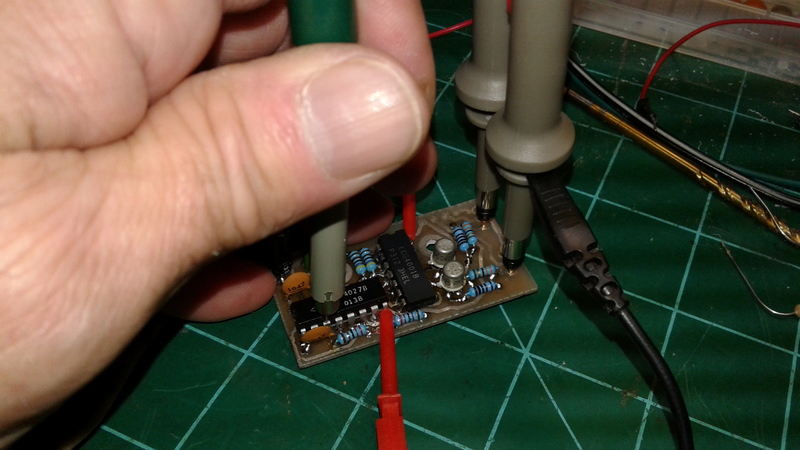 Play around with the capacitor value a bit if you want to custom-tailor your audio even further for a nice, clean, natural sound at the other end of the system.